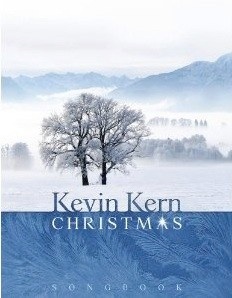 The companion songbook to Kevin Kern’s Christmas album is a joy to behold! 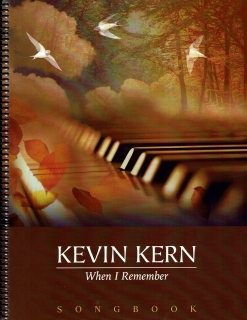 It contains all sixteen songs from Kevin’s first indie release, carefully and lovingly transcribed by Kern himself, ensuring that these scores are as accurate to the recording as humanly possible. As with his previous recordings and songbooks, Kern keeps the melodies of these traditional carols and songs simple, lyrical, and evocative. What makes this collection different is Kern’s use of jazz chords and voicings that gives some of the songs a slight edge and makes them distinctive. On the “Introduction” page, Kern gives some playing tips and suggestions that most pianists will find very helpful. None of the sixteen songs are what I would call “easy,” but they are not terribly difficult, either. A few of the pieces are in keys that are a little tricky and some of the more complex jazz chords take a bit of study, but I would say that most pianists at an early-advanced playing level would be able to master these songs without practicing their fingers to the bone. There are a lot of chords - especially on the left hand - that have a reach of a ninth or a tenth, but Kern gives some tips in the “Intro.” for approaching those with smaller hands. The book itself is spiral-bound and printed on a medium-weight paper that should stand up to years of use. The spacing is clear, roomy, and easy to read. Even more importantly, the music is FUN to play and very enjoyable to learn. 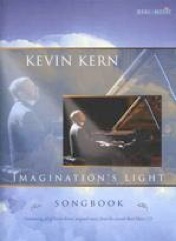 This songbook is available from kevinkern.com and Amazon.com. Very highly recommended!